Dr. Bill Smith, Editor: Join other activists from the nation in Dallas for Americans For Prosperity's Defending the American Dream Summit 2014 on August 29th and 30th! Receive THE BEST grassroots training and networking in the nation! Hear fantastic Speakers. Meet new friends and contacts. 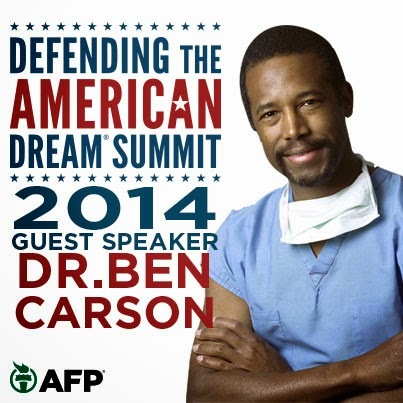 Lots of exhibits, At the 2014 Defending the American Dream Summit you will have a chance to meet people like Dr. Ben Carson, Governor Rick Perry, AEI President Arthur Brooks, AFP President Tim Phillips, Sen. Ted Cruz, Bill Whittle, and top businesswoman Carly Fiorina! And many other speakers and workshop leaders. Thousands of grassroots activists just like you are positively impacting this nation. From holding elected officials accountable for his continued support of Obamacare to mobilizing as citizen lobbyists at the state legislature with a goal of keeping more of your tax dollars in your pocket, you are making a difference at every level of government! All around us a battle of ideas rages, and the very fabric of American prosperity is under attack. Now more than ever, we must be alert, involved, and engaged in the fight for freedom and liberty. Every day the left seems to come up with some new business killing regulation, new tax, or new way to chip away our freedom. YOU can continue to make a difference and stop the left's advance by joining us in Dallas to learn from the BEST minds in America. Join us August 29-30 at the Omni Hotel in Dallas, Texas to take part in cutting-edge activist training, get educated on relevant free-market issues, meet and mingle with thousands of like-minded activists, and hear from top-tier speakers and panelists. Networking with others outside your local network is invaluable. And I would like to be one of those you link up with. 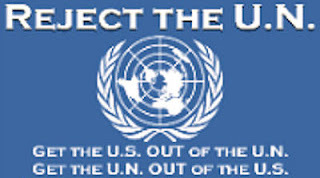 To learn more about the Defending the American Dream Summit, go to DefendingtheDream.com. It will be a fantastic time and you'll bring back the latest skills to continue to save this nation while making lasting friendships. After a great day of speakers on Friday, August 29th at the Defending the Dream Summit, you will be able join other AFP activists for some good ol’ country fun Texas style as AFP takes our party over to Gilley’s Dallas, a restaurant and line dancing venue with food, drinks, live music and plenty of good times to be had. Tags: AFP, Defending the American Dream, 2014, Americans For Prosperity, Omni Hotel, Dallas, Texas, grassroots activists, friends, speakers, workshops, exhibits, fun, Gilley's, Dr. Ben Carson, Governor Rick Perry, AEI President Arthur Brooks, AFP President Tim Phillips, Sen. Ted Cruz, Bill Whittle, businesswoman Carly Fiorina, To share or post to your site, click on "Post Link". Please mention / link to the ARRA News Service. and "Like" Facebook Page - Thanks!